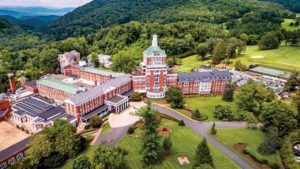 Two major hot springs flow onto the property, featuring a full-service spa and offering you the opportunity to take in the mineral waters just as President Thomas Jefferson did in 1818. Our two-acre water park, fueled by crystal-clear springs, features two water slides, a lazy river, a water play zone and a sandy beach for the kids, along with a cozy whirlpool and private cabanas with exclusive services. Outdoor activities abound for active travelers at the Hot Springs resort. With the mountains and valleys bursting with summer and winter activities such as horseback riding, skiing, snowboarding, paintballing, zip lining and ice skating, an adventure is always within easy reach. Following a day of fun, fill up at one of our thoughtfully designed restaurants before enjoying a night of bliss in our elegant accommodations. 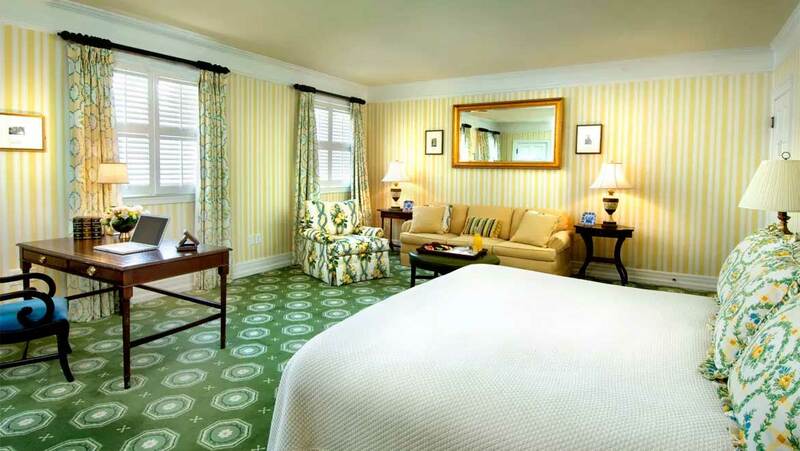 The Omni Homestead Resort offers some of the country’s most challenging and historic fairways. Consistently ranked among the finest Virginia golf courses, the championship courses allow you to perfect your golf game on impeccably manicured greens while basking in the serenity of the surrounding landscape. 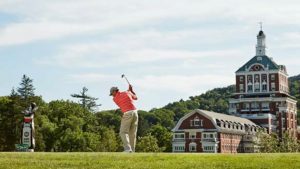 Visit The Omni Homestead Resort, nestled within the overwhelming natural beauty of the Allegheny Mountains, and challenge and reward yourself with a golf experience you won’t find anywhere else in the world. 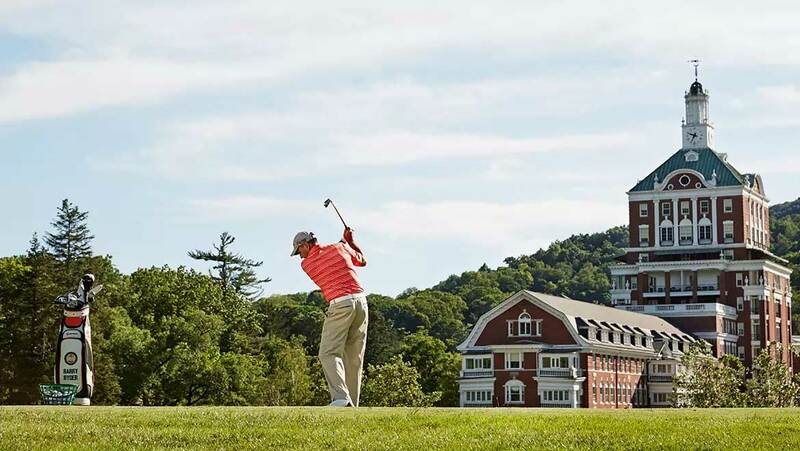 Practice your swing on a driving range before heading to one of the two historic golf courses at The Omni Homestead Resort. The championship courses have challenged Presidents William Howard Taft, Dwight D. Eisenhower and George H. W. Bush, as well as two generations of Rockefellers. Both courses have a clubhouse and offer short-game practice facilities and driving ranges. Callaway rental clubs are available. 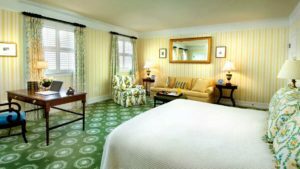 The Spa at The Omni Homestead Resort is an expansive, state-of-the-art facility for guests to experience wellness activities, decadent treatments and unique features, including our Aqua Thermal Suite and a year-round, adults-only Spa Garden. 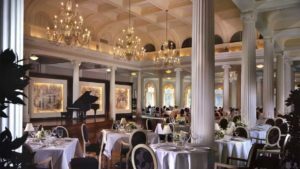 Treat your taste buds with irresistible cuisine served in formal and casual environments at The Omni Homestead Resort. 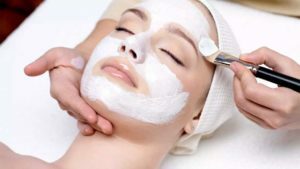 Their Hot Springs, Virginia restaurants offer attentive, friendly service in classic settings where dress codes are strongly encouraged. 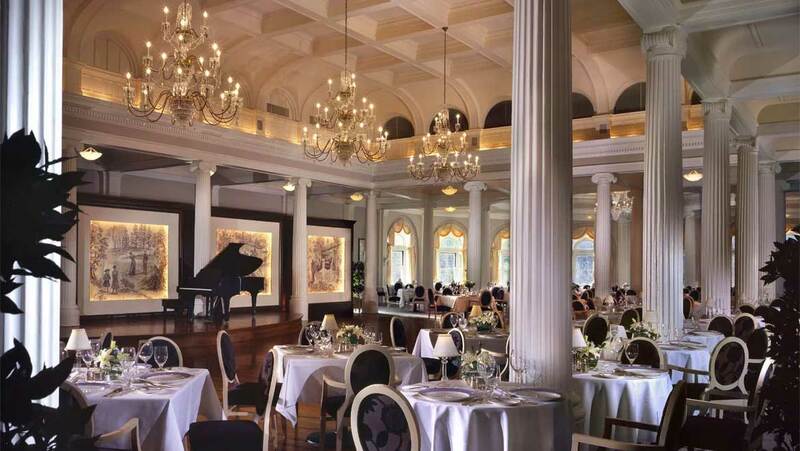 Enjoy the added convenience of pre-purchasing a meal plan package: experience our famous breakfast buffet, The Art of Breakfast, in our historic Dining Room along with a sumptuous three-course dinner in The Dining Room, Jefferson’s Restaurant & Bar or Woody’s. They encourage you to make dining reservations for these three restaurants. Click HERE for questions or to request additional information regarding the 2019 ADM Meeting.